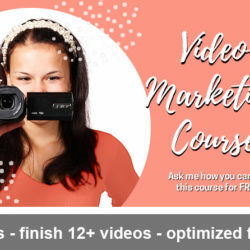 Register for our 8-week video marketing course! After registering, you will receive a receipt, a confirmation message via email, plus additional emails shortly before the course begins with your login information. Be sure to check your inbox for these items!